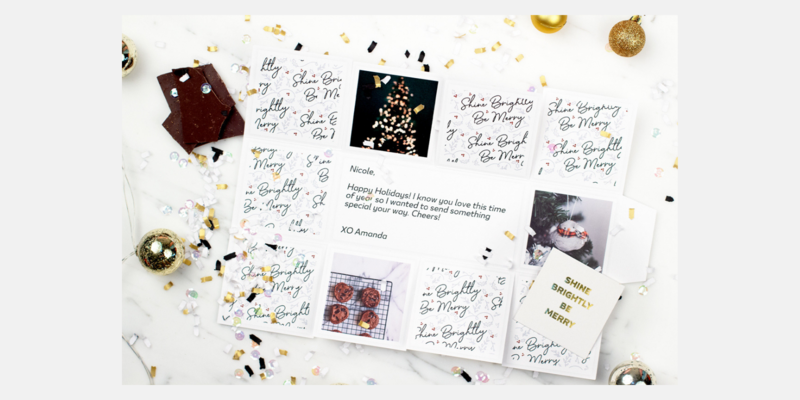 St.Louis based startup Greetabl is an online one-stop-shop for creatively-curated gifts and greetings that are personalized with Instagram photos, packaged and sent in just a few clicks. 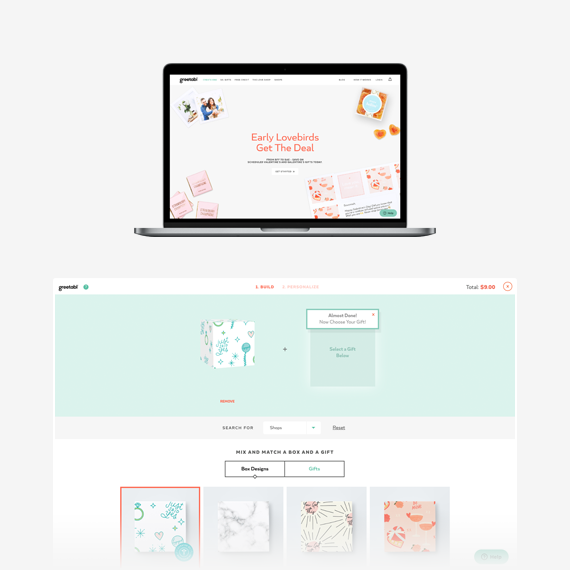 The founders Joe and Zoë merged their respective backgrounds in business and design along with their entrepreneurial spirits to launch their gift platform. The venture turned out a success and soon it became clear and a more scalable and automated solution is necessary to ensure further development. B/C and Greetabl worked together to develop a complete online gifting solution where the user, B/C coined “the Giver” could pick from a beautiful selection of boxes, add a gift from a curated collection of gifts, customize the package with a message and photos that would then be shipped to the receiver’s door. The user could also send multiple Greetabls to different addresses in one quick and easy order! This new model required a complex customization of Spree Commerce to make this userflow possible. B/C Designers sought a qualified technology partner to support the functional development of a Spree Commerce website. Spark Solutions was one of several potential vendors to be shortlisted by the client, and they were approached and selected as the solution partner based on their demonstrated technical expertise and competitive pricing. Once commissioned, Spark Solutions began to collaborate closely with B/C on the development of their Spree Commerce website, which required custom Ruby on Rails development, user interface / user experience (UI/UX) design (created by B/C), systems integration and configuration, and ongoing support. As Spark Solutions works in an agile way the project was conducted in weekly iterations. The whole development process was a repetitive cycle of coders and testers working together with the client with the help of Spark Solutions project manager (PM). It took 22 weeks to launch an MVP integrated with the external outsourced print on demand and shipping center. Digital Content Library enabling the users to browse and choose from a variety of pics provided by the admin. Greetabl Insider – a VIP Program, and get some amazing benefits including free standard shipping on all of your future boxes of happiness. 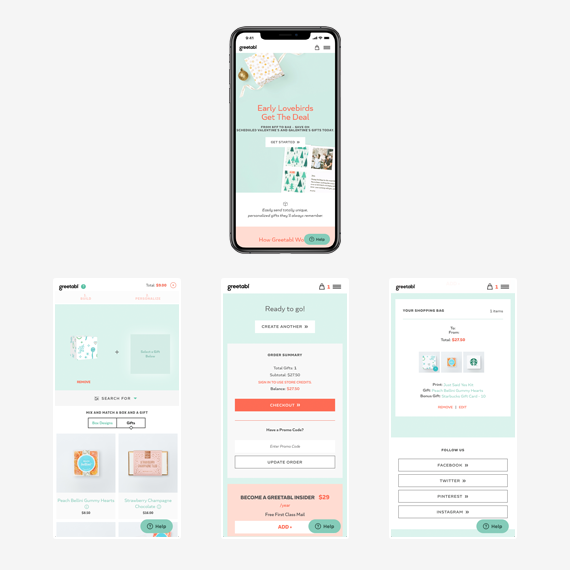 Gift Cards – integration with Gyft which allows clients to purchase gift cards from a number of retailers, which are then printed on the same cutout that Greetabls are, so this process is handled by Greetabl from start to end. Rewards – credits can be earned with every eligible self-service order on greetabl.com. eCommerce multi unit ordering – users can easily duplicate their Greetabl builds and edit them directly in cart. Greetabl.com business was automated and streamlined with the right technology, user experience, brand platform and dev team. This enabled the startup to scale, fundraise and compete for larger market share as well as bigger ROI. New website was beta-tested and optimized for a few more weeks right on time for holiday season.